A new brand that was created in 2009 by Nico Perez and originally focused solely on men's branding, but now also has a women's collection. The textiles used focus heavily on linen, for its universal style which can be worn in many countries, both with cold and hot climates. Now there are two stores which are both situated in Bali; the original is in the busy retail district in Seminyak, and a newly opened store is in Nusa Dua. The collection is based around 5 essential pieces that are fundamental for any wardrobe, of both casual and formal attire. 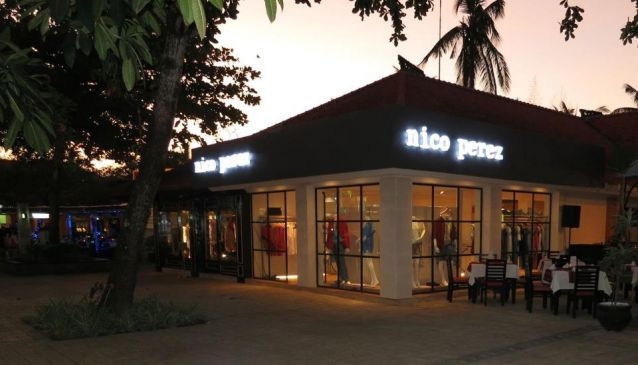 Prices are more expensive than your average clothes boutique but are still affordable for tourists and locals who have adopted the Nico Perez brand as something to be proud of. Julia Roberts and Javier Bardem have given the brand a celebrity status while filming the successful 'Eat, Pray, Love'. All attire is designed and made in Bali creating a unique look which is difficult to replicate in western stores. For a pair of linen trousers the average price is $100, and jackets start at a reasonable $72.